Information about the history of Stand Down, essential program components, event classifications, and how to organize and develop a Stand Down program for your community. Brief document that highlights Stand Down's background, desired outcomes, development models and services and offers possible partners and funding resources. This Promising Practices Guide contains experience, guidance, and best practices condensed from 20 surveys completed by expert organizations that serve as the heartbeat of Stand Down events throughout the year. This guide offers a snapshot of how several successful HVRP grantees and their partners working in employment services have been able to develop and execute Stand Down events across the country. Brief document describing the basic timeline for hosting a Stand Down, from responding to the Federal Register Notice to submitting reports. A current list of what expenses are allowable using federal funding, and what expenses are unallowed. To include your Stand Down event in the national registry and NCHV’s newsletter and website, please complete the 2016 Stand Down Notice of Proposed Event Form and e-mail it to info@nchv.org or fax it to (202) 546-2063 or (888) 233-8582. Once your event has concluded please fill out the After Action Report. 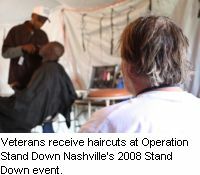 The information on this form is used by NCHV and the U.S. Department of Veterans Affairs to compile an annual report on Stand Down programs that provide outreach and supportive services to homeless veterans. 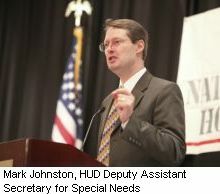 If you have questions or need assistance with this report, contact info@nchv.org or (202) 546-1969. Your local VA Stand Down contact has instructions available to service providers regarding requesting DOD surplus for Stand Down events. Please contact them for further information and guidance. To have your Stand Down information listed on our website, please download and fill out the above 2016 Stand Down Notice of Proposed Event Form. 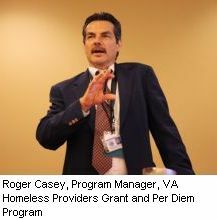 Notes from National Coalition for Homeless Veterans teleconferences are categorized by subject. These calls were provided through technical assistance grants from the U.S. Departments of Veterans Affairs and Labor.